The overhaul of an "outdated" U.S. Federal Communications Commission program that subsidizes telephone service in rural areas will lead to universally available broadband service in the U.S. by the end of the decade, FCC Chairman Julius Genachowski said. Genachowski's proposal to revamp the Universal Service Fund (USF), unveiled Thursday, would transition the fund away from subsidies for traditional telephone service and toward broadband. The fund, with an annual budget of about US$8 billion, would start paying for broadband deployment to areas now unserved in 2012, under Genachowski's plan. Genachowski called the current USF system "unfair" and "broken" and scheduled a vote on his proposal for later this month. In some cases, USF is paying telephone carriers $20,000 a year to provide service to a single customer, and the system pays subsidies to multiple carriers in some areas, he said. Instead, the FCC needs to take action to deliver broadband to an estimated 18 million U.S. residents who don't now have access to it, Genachowski said. About half of those residents could have access to broadband within five years under the plan. "Harm from not having broadband -- the costs of digital exclusion -- already high, are growing every day," Genachowski said. "The costs of this broadband gap are measured in jobs not created, existing job openings not filled, and our nation's competitiveness not advanced.&#160; The broadband divide means economic opportunities denied for ordinary consumers who lack broadband access; educational opportunities diminished; health care access reduced; and public safety compromised." Genachowski's plan, short on details Thursday, includes reform of the FCC's intercarrier compensation system, the complex set of fees telecom carriers charge for carrying each others' traffic. The universal service portion of the plan would transition money from the USF's $4.5 billion-a-year high-cost fund to broadband, through the new Connect America Fund, and to a mobile broadband Mobility Fund. If the FCC adopts the proposal, hundreds of thousands of U.S. residents would gain access to broadband in 2012, Genachowski said. The Mobility Fund would bring mobile service to 100,000 miles of roads across the U.S., he said. The proposal would also cap the Connect America Fund. U.S. consumers, now paying a tax of about 15 percent on long-distance phone service could save "hundreds of millions of dollars" because of the cap, Genachowski said. The FCC has been heading toward USF reform for a year and a half, and several members of Congress have pushed for changes in the system for years. The FCC's national broadband plan, released in early 2010, contained the basic elements of the plan Genachowski laid out Thursday, and the FCC launched a notice of proposed rulemaking on USF reform in February. Genachowski's plan would also phase down intercarrier compensation payments, he said. The plan would close loopholes that lead some rural carriers to engage in so-called traffic pumping schemes. In some cases, rural carriers take advantage of high access fees they charge to larger carriers by driving traffic to their networks through partnerships with adult chat lines and conference calling services. 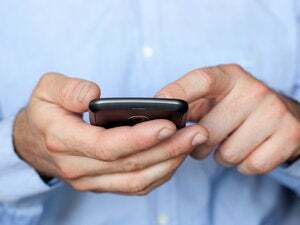 The plan would also seek to end the practice by some carriers of diverting wireline traffic to mobile networks to avoid paying the charges, he said. The plan is not a "rubber stamp" of USF proposals by outside groups, Genachowski said. In July, a group of carriers, including AT&T, Frontier Communications and the National Telecommunications Cooperative Association, proposed their own USF reforms, but some small carriers have opposed that plan. Independent Telephone and Telecommunications Alliance (ITTA), representing mid-size carriers, applauded Genachowski's proposal, although the group noted many details aren't yet available. "ITTA ... is delighted that the Federal Communications Commission appears poised to adopt comprehensive universal service fund and intercarrier compensation reform," said Genevieve Morelli, ITTA's president. "ITTA has been championing meaningful USF reform for many years and is encouraged that such reform may now be imminent." Genachowski's plan will bring big changes to the telecom industry, said George Foote, head of regulatory law at the Dorsey and Whitney law firm in Washington, D.C. The proposal will rearrange "winners and losers in the telecom industry," he said in an email. "The companies that deliver broadband and mobile service will see new revenues. Traditional wireline-oriented business practices are going the way of the telegraph."